As the weather warms up in the Portland, OR area, we are sure to start seeing Carpenter Ants again. 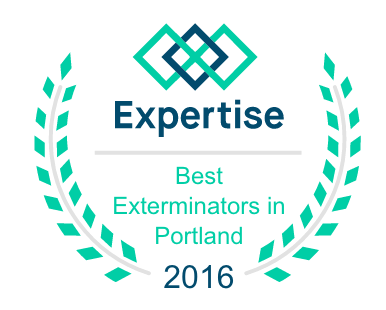 There are a lot of companies that offer the service of Carpenter Ant control and removal in Portland, and as you might expect, a lot of different opinions on how the service is performed. 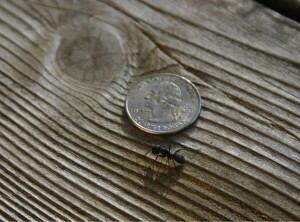 The way I was trained to do Carpenter Ant jobs and the way I do them today are very different. I use far fewer chemicals, I never drill holes in siding, and I use very little-almost no insecticides in the living spaces of your home or office. When I started my own pest control business, I offered a very competitively-priced treatment with the same 12-month warranty as the other guys, but I stood by the warranty and never required a 12-month contract. And yes, I had to go back and do a few retreats. Three years later, and I do that same competitively-priced treatment but now carry a 36-month warranty. Why? Because I hate salespeople who lie just to make a buck. You don’t need to “maintain the warranty” if you’ve effectively killed the Carpenter Ant queen. It’s just a way to get another $400 or more out of your wallet. And none of the hundreds of people I’ve asked that question to ever had a Carpenter Ant treatment in fewer than 7 years at the same house.